Can he fix the biggest mistake of his life? Dillon Cross is the anti-politician: honest, idealistic, and a true public servant. But he’s got one huge blot on his conscience. Dill thought he was straight until he met Matt in college. On the verge of coming out just as he launched his political career, Dill was pushed into the closet by his father. Persuaded that an openly gay politician could never win, he sacrificed love–and Matt–and married a woman. Now, years later, he’s single again after losing his wife … and a chance encounter with Matt turns both their worlds upside down. Dill has never stopped loving the openly-gay screenwriter, and this time he’s not willing to give him up. He’ll do anything to keep him close–even risk tarnishing his squeaky-clean image. Matt has never forgiven Dill for walking away. He can’t deny his feelings, but trust is another matter. 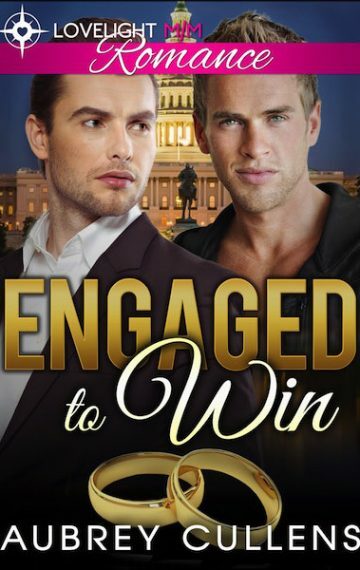 Can two good-hearted men survive gossip, scandal, scheming exes, and political machinations to win their second chance at love?